Last week I welcomed Jen Gilroy to my blog to discuss the writing rules that work for her. 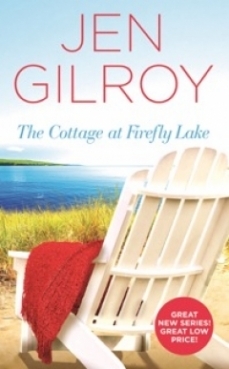 Jen kindly offered to give an advance copy of her debut novel, The Cottage at Firefly Lake, as a prize for anyone who both commented on the blog and subscribed to her newsletter. Jen has now furnished me with the names of those people and I have had the happy job of selecting a winner at random. 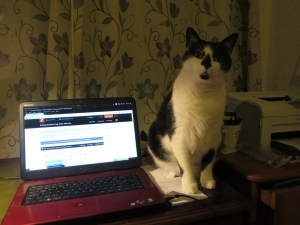 Since Alf was so helpful when I was publishing the blog - and, believe me, this photo gives no indication of how extremely "helpful" he was - I asked Jen if Cassie could have the job of choosing the winner of her giveaway. 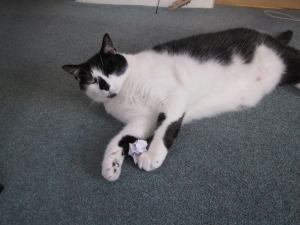 Cassie loves to play with screwed up pieces of paper. 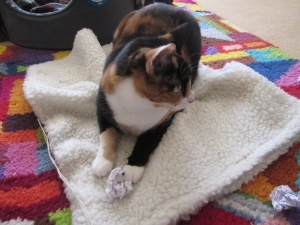 She races around playing hockey with them until she chooses one favoured piece, which she takes to her fluffy mat. The finalists' names were written on pieces of paper; the paper was screwed up and thrown about. Cassie dived in and chased them, tossed them around and generally pounced on and killed them... until she had had enough. I tried to take action shots, but they came out blurred... although Alf did save a penalty, as you can see. 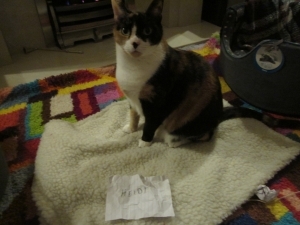 Cassie with the chosen piece of paper. Many congratulations, Heidi Vanstone. I hope you enjoy reading Jen's book. I'm envious - I have to wait until the end of January for mine! Jen and I will be in touch to arrange for the book to be sent to you. Jen, it has been an absolute pleasure to have you on my blog. Your words have resonated with so many people. I know you felt a bit iffy about contributing to this long-running series, in case you didn't have anything new to say; but it isn't necessarily about coming up with new ideas. It's about showing writers that to a large extent we follow the same rules. Hi, Louise. Thanks - they are good photos, aren't they? But I have to be honest and say that there were loads more and I cherry-picked the best. I would have loved to have been able to publish an action picture of Cassie playing hockey with her bits of paper, but all I got was action blurs. I am honoured to have been chosen by your helpful cat companions. What a fun way to do a draw! I must remember this method for the next time we're drawing lots at home for a fun "prize"!!! Congratulations, Heidi. I hope you enjoy THE COTTAGE AT FIREFLY LAKE. 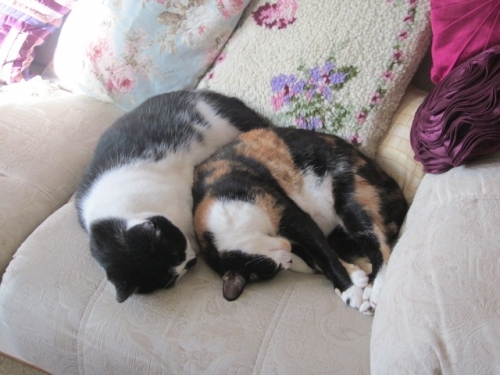 Thanks to Cassie (and Alf) for your help, and a huge thank you to you, Susanna, for hosting me on your lovely blog.